After the three month respite, the glorious 16th has arrived, it’s river time again! 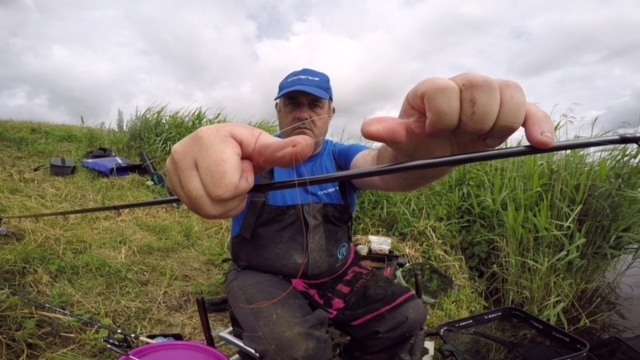 My local fishing is done on the River Ouse with my usual haunt averaging depths of between 15 and 24ft, I had been itching to try the Cadence CR10 14ft #2 Match rod, perfect for a little used, sometimes forgotten method, the slider. The rod is constructed from a mix of 40 and 36 ton carbon which makes for a super lightweight blank that is strong and has bags of power when needed. It is rung throughout with quality Fuji Alconite guides, which are also lightweight, helping the whole rod to feel light and crisp. 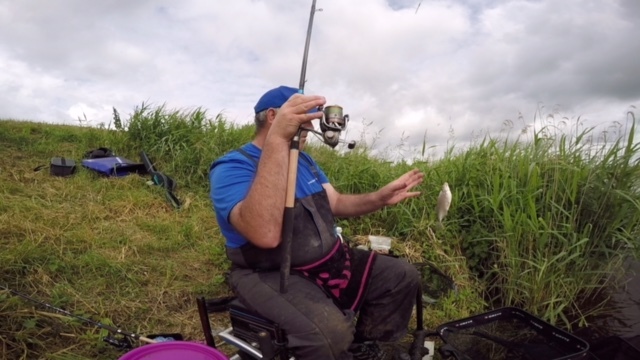 Having looked at all three rods in the 14ft range and having chatted to Cadence’s James Robbins, I felt the #2 would be spot on for my slider work. This is not to take anything away from the other two rods, but with deep water and 8-12g sliders being used, the #2 would be the ideal partner. With opening day done and dusted, Sunday morning arrived and I was back out on the bank, this time to christen my new toy, the CR10 14ft #2 Match Rod! I had chosen to couple the rod with the Cadence CS8 reel, which marries up perfectly for optimum balance. Onto the reel, I had 6lb mainline loaded, a soft but robust line is needed for slider fishing. Learning the hard way, I’ve lost count of the number of frequent tangles that can happen with lines of 3 or 4lbs. Once the rod was assembled and rigged up, the slider was constructed. My setup may look a bit Heath Robinson, but it works and reduces, if not eliminates most wrap overs. Using an Olivette as my main bulk, a line of No.9 shot is attached below it, sometimes as many as 30 or more. This creates a stiff boom below the bulk and prevents the line below wrapping over. It looks off the wall, but, it works for me. For a stop knot, I like to use a line which is almost a rusty red colour, this gives me a highly visible knot which is easy to see. Above this, I will tie a second stop knot, this helps in case of knot slippage and enables you to fish off the bottom while leaving the first knot in place. This means you always know where your original depth is. With everything set, I kicked off the swim with six balls of ground bait, which contained some casters and chopped worm. Starting the session on double red maggot, I expected to have a few run-throughs before any action started. It was not to be, as bites came straight away. Small hybrids were readily accepting the maggot almost as soon as the hook bait had got to the bottom. 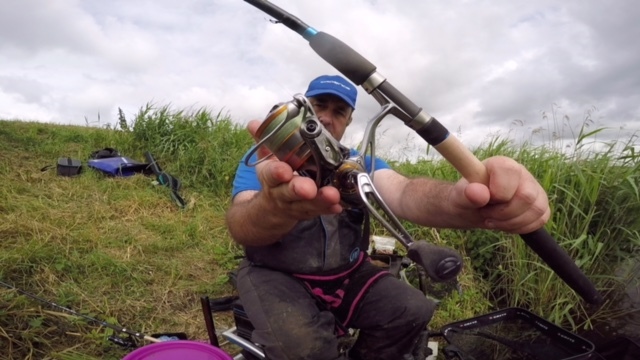 The rod was performing brilliantly, using a 10g slider float and punching out to the middle, it was a dream. The line was being sunk, the pick up was perfect and the striking action was strong and precise, with just enough give to not have hook pulls. As the session progressed, fish became a little finicky due to the overhead sun, so I decided to test the rod out to the max. I catapulted two balls of ground bait across the river and punched the waggler out. Even at this distance, the line pick up and action was just right. Fish from 2-6oz were again taking the bait and not once did I get a hook pull. 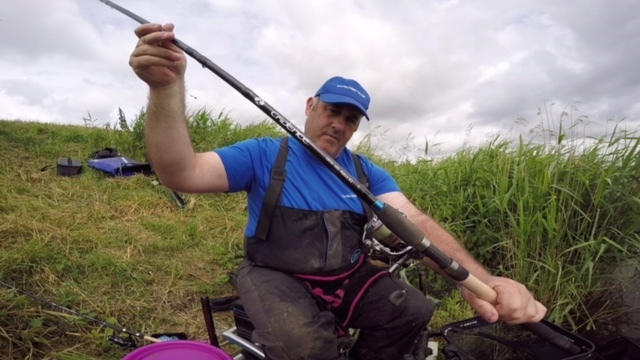 The Cadence CR10 14ft #2 is the first match rod I have used from the Cadence Fishing range, and to say I am more than happy with its performance would be an understatement. It ticked all of the boxes and then some. Everything from the casting action to the fish playing action was spot on. For every purchase of £50 or more, Cadence Fishing will provide a child with a free fishing pole through one of our charitable partners, an excellent way to give back to our sport and future generations of anglers.